Spectres have confirmed their first show of 2018 at the WRONG Festival in Liverpool. The one-day festival takes place across three venues – The Invisible Wind Factory, North Shore Troubadour and Drop The Dumbells – in the city’s Docklands area on Saturday, April 28. 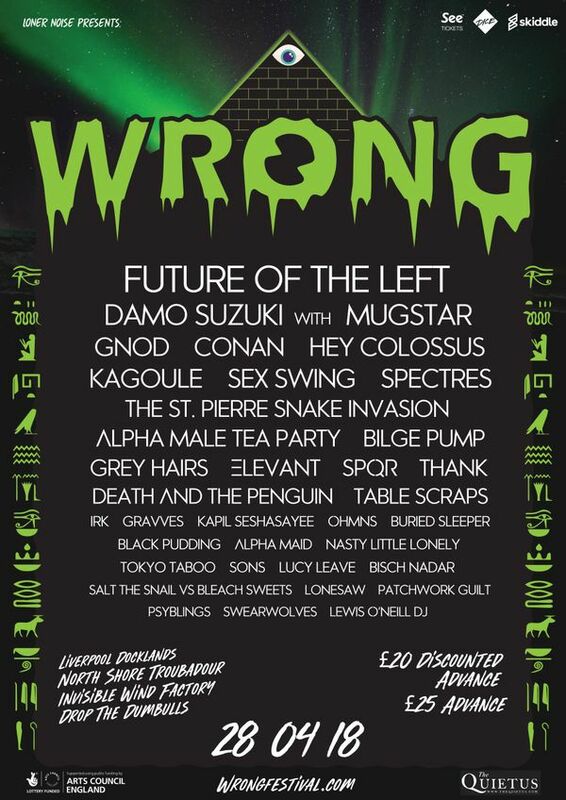 Also on the bill are Future Of The Left, Can legend Damo Suzuki (who will be performing with Mugstar as his sound carriers), Gnod, Hey Colossus and many more.